1536 Sherwood Court, Sherrills Ford, NC 28673 (#3380313) :: Robert Greene Real Estate, Inc. Waterfront Gem! 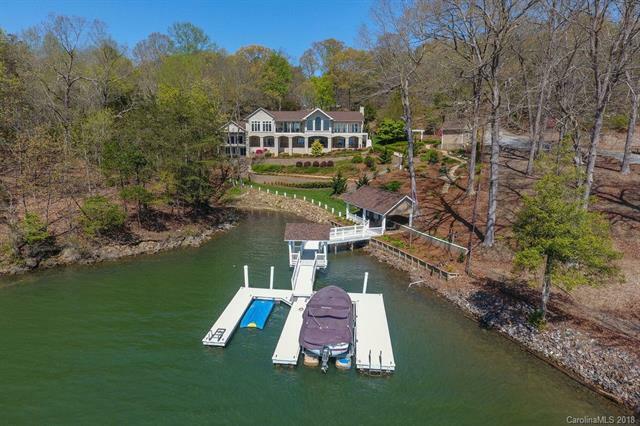 Amazing long range & wide views of Lake Norman and Main channel. 1.62 acres w/ over 220 foot of water frontage. Views from almost every room and amazing views from large entertaining decks. Home sits on a double lot (lots 1+3) & was renovated in 2003-2004. Features galore: 5 Hvac Units, Surround sound speakers, irrigation from the lake, 2 wells,Dock with 2 slips,Covered Boat storage house,Wine chiller, custom chef kitchen, basement wet bar, intercom system, whole-house generator, 50 year roof shingles, Gas logs fireplace, gas cooktop, pavered driveway, fresh landscaping, travertine tile terrace, flagstone walk ways down to water, Custom fireplace mantle, gutter guards. 2nd full kitchen & laundry in basement, central vacuum, Jacuzzi tub in Owner's bath, Water purification on well. Built-ins in Great Room. Lot #2 - water view lot (community lake access) available for sale (.61 acre) sold separately for $75K. 1-year home warranty included.